If Airbnb owned 'Cheers,' would everyone there know your name? Ah, yes. Just look at that billboard and let it sink in. “We imagine a world where you can belong anywhere.” Nice, right? Makes you all warm and fuzzy. Well, that is unless we can’t find your name in the “100 Most Common Baby Names” book. If that’s you, stick with a hotel or sleeping in the car. According to an eye-opening study from Harvard University involving more than 6,000 Airbnb hosts, the Airbnb system of creating familiarity for hosts renting rooms out of their home may not be as simple as planned. Apparently, while hosts are allowed to refuse applicants from renting their house, the decision making process can be subjective — too many kids, insisting on bringing pets, want to stay too long, or… uh, if your name is Rohandra, Sha’Quonda, or Trey. In a press statement to The New York Times responding to the Harvard findings, Airbnb maintained its aforementioned commitment to being against discrimination. “We recognize that bias and discrimination are significant challenges, and we welcome the opportunity to work with anyone that can help us reduce potential discrimination in the Airbnb community,” the statement read. 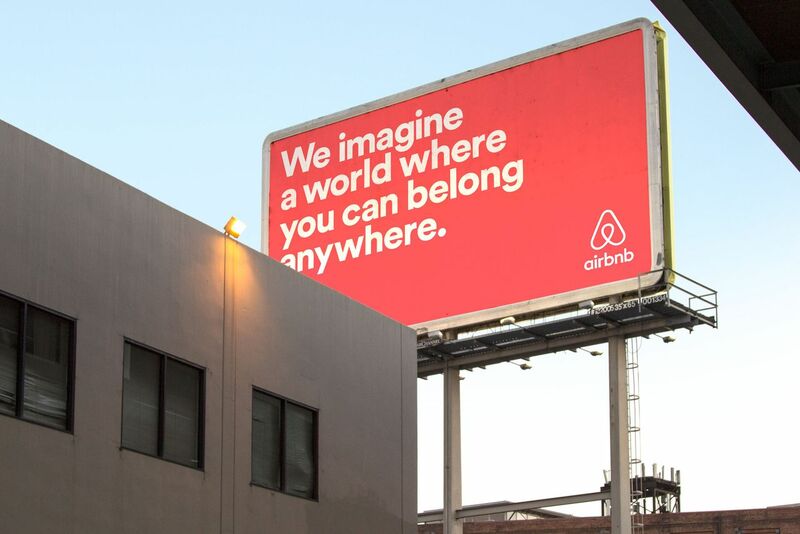 MEMO to Airbnb: You may want to start with the people who made that billboard. Just sayin’.